Like many yesteryear items, vinyl records are gradually making their comeback and gaining popularity with millennials. In many local record stores, such as 2nd & Charles, shoppers can find contemporary music in vinyl record form. Some buyers claim vinyl music quality is much better than compact discs or other digital forms; others simply enjoy the combination of vintage and modern entertainment forms. Then there are those who take their appreciation a step further, such as one local group of musicians. The Maples, a self-described “garage rock” band, have worked to produce their own music in vinyl record form. Cover art for the vinyl record. The record is the first to be publicly released in Laredo in 37 years. 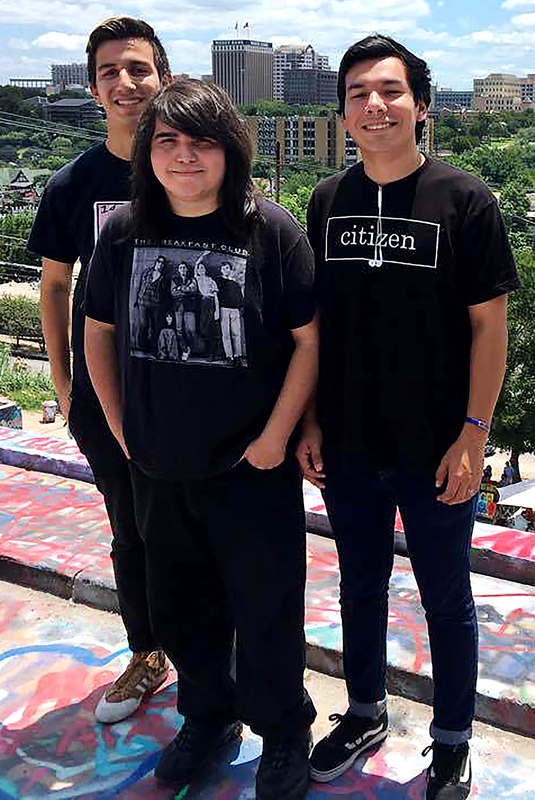 The band currently consists of Joshua Jasso (vocals/guitar), Adrian Garcia (drums) and Seabass Garcia (bass). The 7-inch record will include music from The Maples and The C-Section Babies, another local band whose members they met and befriended since middle school. Jasso spoke about the band’s origin, their reason for coming together to create music and their long-term plans for The Maples. “It was the idea to make a band that can deliver messages that hit close to home,” he said. “It started in 2014 as a simple punk band with different members and a cassette recorder in our bedroom. The seed was planted, all we were waiting for was for the band to grow and practice to try capturing the audience in a personal level. They originally planned for the record to be split between four local bands, he said, but this did not pan out. Still, they were not discouraged and continued work on the record. Recording took place in San Marcos during the summer of 2016. Among the band’s influences, he cited The Velvet Underground as the biggest. “In their debut album (The Velvet Underground & Nico) critics say, ‘Everyone who bought this album started a band,’” Jasso said. “It is very true because that is exactly what happened with me and The Maples. They gave unique characteristics and topics in each of their songs and that is what inspired us to be so serious in our music. The emotion the album emits to the listener is what we are trying to capture, to give symbolism and meaning to each song I write. With the record finished and slated for release later this month, the band is already planning ahead and looking forward to the future with open arms. 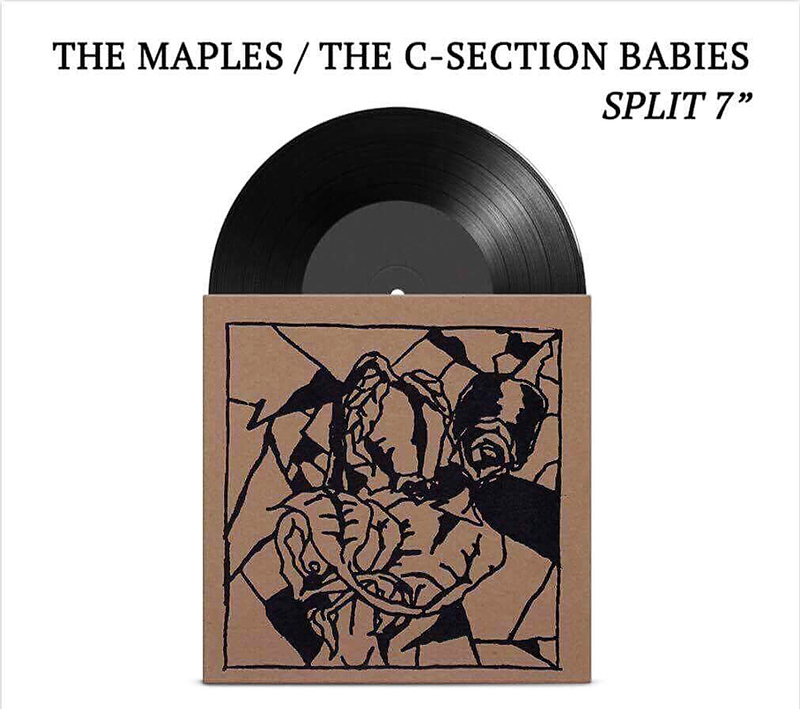 The Maples/The C-Section Babies 7-inch split record will be available for purchase from Blade Records and Big Cartel on Sept. 2. The Maples can be found on social media under the handle @themaplesband.